The map service Apple had a lot of criticism . But now the evidence is accomplished, that the Maps application for iPhone or iPad has a huge advantage over the competition : you can see the Loch Ness monster with it. Of course it is Nessie . Everyone who owns an iPhone or iPad with a younger version of Apple Maps can see the legendary monster. 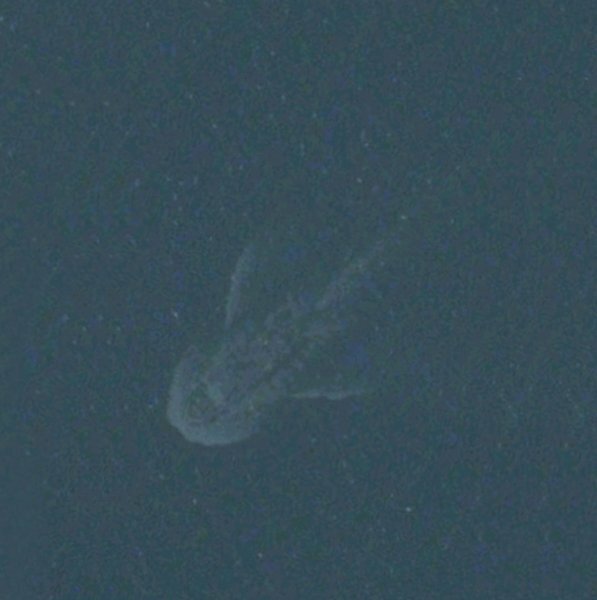 Just put in the search " Loch Ness , Inverness, Scotland ", pull the northern tip of the lake slightly larger - and already it appears : Giant body and two powerful fins, thus driving the monster through the water. Whoever therefore breaks up the over the head, whether it be just an oddly shaped shadow , a ripple in the water or the track of a ship or boat engine : Do not worry , these doubts have been dispelled . Gary Campbell , president of the Official Loch Ness Monster Fan Club has considered the matter . It really handle himself in all probability to the monster , he told the British newspaper "Daily Mail" . Six months had he and his fan club colleagues examined the pictures , talked to experts and ship weighed other explanations . The thanks of the fan now deserves two men who have encountered independently according to " Daily Mail " on the suspect satellite image and the notes to Campbell sent . A certain Andrew Dixon from Carlington is quoted as saying that he had only accidentally taken a look with Apple Maps on the Loch Ness and had suddenly encountered the monster. The discovery can all breathe a sigh Nessie believers . In February , the BBC reported that was made for the first time since 1925 for a period of more than 18 months, no sighting of the monster . "We do not know where it's been ," said at the time a sad Gary Campbell of the BBC. With the sensational discovery on Apple Maps is now clearly proven that the monster lives . At the same time Apple is celebrating with the message a terrific marketing success. Great was the malice , as the map service of the IT company two years ago did an disastrous start. At that time appeared airports where there are none , and suddenly the Statue of Liberty in New York was gone. The humiliation was complete when Apple CEO Tim Cook recommended its customers to use the cards from competitors Google Maps. That is , in this case different: Nessie shows up exclusively at Apple. I just swam up and down Loch Ness, both directions, but she's gone. Shame. of the Loch in 1980.